For an efficient and structured development of our IoT platform we build on tight partnerships with our customers and partners from different industrial areas. With this representation we want to thank our customers and partners for the trust and energy the invest in IPN. Kremsmüller is an Austrian plant manufacturer with a strong focus on maintenance of plants for different industries such as petrochemistry, pulp & paper, food & beverages and much more. Together with Kremsmüller we are developing big data-based methodologies and techniques to optimize energy efficiency and industry specific predictive maintenance and predictive quality solutions. Kremsmüller invests its vast maintenance and process experience which helps us to produce the best solutions possible for these industries. 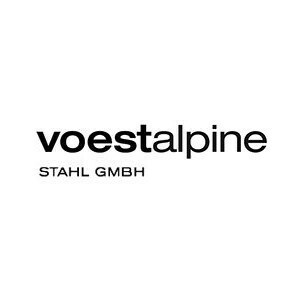 Voestalpine stahl GmbH is the best known operator of an integrated steel mill in Austria. Together with voestalpine stahl GmbH we developed a pilot predictive maintenance system for cooling chambers in a steel mill. The voestalpine stahl GmbH put in its long experience as a steel mill operator (maintenance and process expertise) as well as historical and live data from the steel mill. The intense collaboration enabled IPN to develop a predictive maintenance system with a prediction horizon of more than 28 days for the cooling chamber. myr:conn solutions is an independent technology and service provider for the petroleum industry. Together with myr:conn solutions we developed a big data based technique for ‘brownfield rejuvenation’ and in early 2018 we conjointly developed a predictive maintenance solution for cellular radio transmitting stations.